The demand for psychiatric services to treat psychiatric and neurological disorders has dramatically increased. Psychiatric pharmacists can help meet this demand by working with a physician as part of a collaborative team to improve medication-related outcomes for patients with psychiatric or neurological disorders. Studies show that including a psychiatric pharmacist as a member of an interdisciplinary team is cost-effective and has a positive impact on clinical outcomes (e.g., effectiveness, adherence) by optimizing pharmacotherapy while decreasing the incidence of adverse effects associated with medication. This impact, in turn, increases patients’ engagement in treatment and improves their adherence to medication regimens. 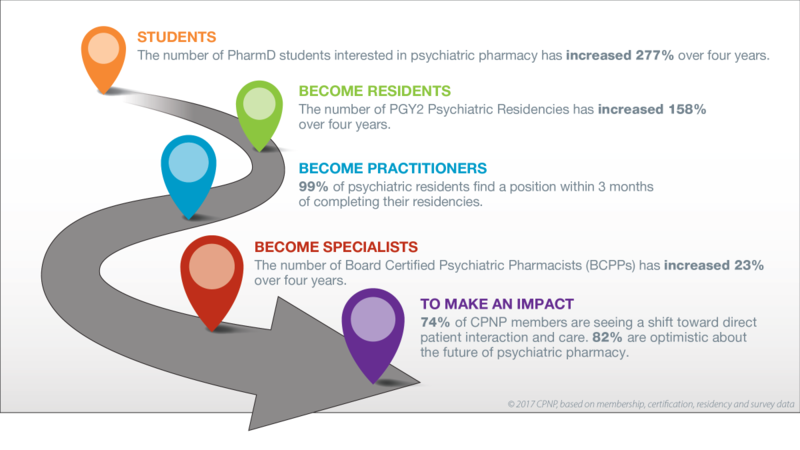 Read more about the value of psychiatric pharmacists as part of the healthcare team. Download the video for use offline.